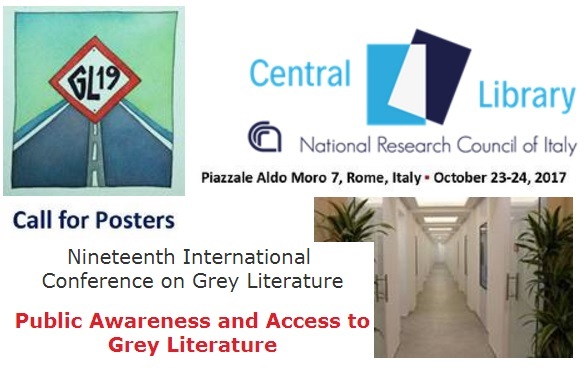 Deadline : 25 September : Call for Posters at the 19th International Conference on Grey Literature ! The GL19 Call for Posters is open till 25 September 2017 ! Participants who seek to present a poster are invited to submit an English abstract between 300-350 words to conference@textrelease.com. The abstract should describe the project and/or related information product or service. The conference venue is only able to accommodate a limited number of digital and physical posters.